Overlake Medical Center Foundation & Auxiliaries hosted its annual Bandage Ball gala and auction on Saturday, May 14 at the Hyatt Regency Bellevue. Proceeds will support Overlake nurses through increased training, mentorship and professional development opportunities. One of the Eastside’s premier social events, this year’s Bandage Ball gathered more than 800 community leaders and guests to support the initiative. 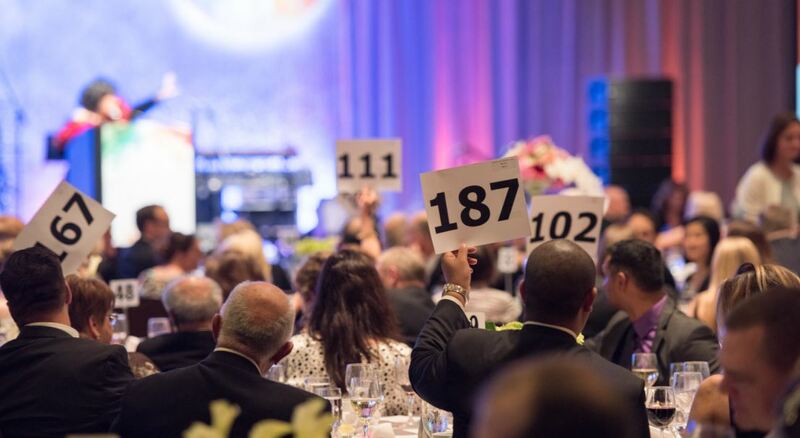 First held in 1960 to celebrate the opening of Overlake Hospital, the Bandage Ball has raised more than $11 million in the last 17 years. 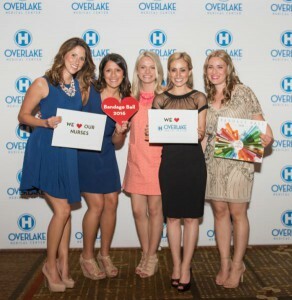 This year’s event alone raised $1.26 million to support Overlake’s nursing services. Funds will provide Overlake’s nurses with additional opportunities for advanced education, including new graduates who receive the most comprehensive residency and mentorship program available in the region. One of the most unique and moving aspects of the evening came when nurses spoke from various corners of the room. The lights went down and up popped a single spotlight, shining on each nurse who spoke one at a time, live, to the audience about their nursing experiences at Overlake. 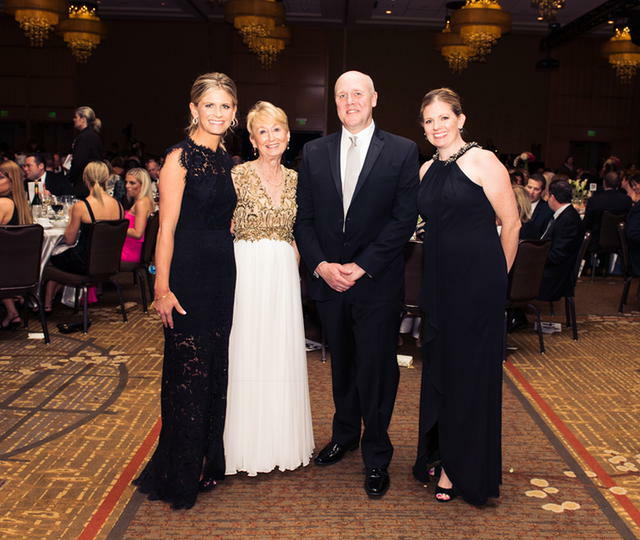 The Keller Group’s Founder and CEO, whose mother, Patti Payne, emceed the evening, said, “The most moving part for me was the story of one of the event’s co-chairs, Merrill Behnke, who talked about contracting meningitis from listeria. She nearly died and there wasn’t a dry eye in the house as she talked about her nurse cradling her in her arms and calling for her family to come and say good bye to her. Healthy and vital, she stood there before all of us saying that she wouldn’t be here today, had it not been for the nursing care she received. “The same thing has happened to me personally, as my husband had a huge scare with blood clots and as he spent an entire week in the ICU in April of this year, we were struck day after day with the care of the nursing staff. These incredible people live to help others and their care and vigilance was felt daily by our entire family. And Mike is back out on his tractor doing just fine! 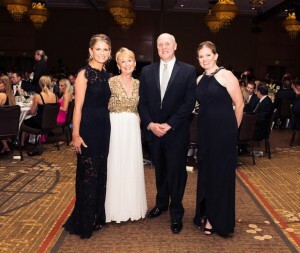 Left to right: co-chair of Overlake Medical Center’s 29th annual Bandage Ball gala Merrill Behnke; major Overlake supporter and former gala co-chair Patty Edwards, Overlake Medical Center CEO Mike Marsh, and 2016 gala co-chair Dr. Tara Reimera at the Hyatt Regency Bellevue ballroom on May 14 for the gala, which raised more than $1.26 million, a record for this event. This year’s event featured complimentary wine from Matthews Winery, a three course meal, silent and live auctions, wine toss, raffles and late-night dancing to the soulful sounds of FreddyPink. Guests were invited to bid on items including club level Seahawks tickets and sideline passes, lavish getaways to places like Hawaii and Scottsdale and even a VIP evening with the Piano Man, Billy Joel. This year’s theme, ‘Power of Nursing’, speaks to the truly unique role nurses play in our lives. Their dedication and compassion was honored tremendously at this years’ event. As a nonprofit hospital, that receives no public tax support, Overlake depends on gifts made at Bandage Ball. Donation dollars from the event stay right here in the Eastside community.